Norway is an awesome country to discover step by step. It changes a lot from one season to another; it enchants the winter traveler with its soft white atmosphere, its sweet winter tenderness that creates a cosy world with short dark days transforming your stay in an explosions of different sensations, and it astonishes the summer traveler with its midnight sun, everlasting days and beautiful bright colours. You can’t help loving Norway, its people and their language. Off the main tourist routes you have the opportunity to enjoy some of the most beautiful scenery in Europe, probably in the world. With almost the same surface area of Italy or New Zealand, Norway has only 5 millions inhabitants…the rest is Nature and sublime beauty! Here is a collection of spots you shouldn’t miss when you are there. Some of them take time to get to but once you find them, they will stay in your heart forever. Whether you arrive by train, boat, plane or car, when you arrive in Bergen you have the feeling you are finally in Norway! 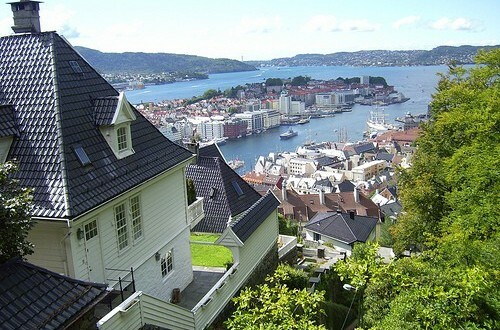 Bergen is Norway’s precious pearl. The town is beautifully built along the fjord, with the small colourful wooden houses on the Bryggen shining off of the fjord which is usually gray from the rain. The Bryggen is the old Hanseatic Wharf and is the oldest part of the town as well as it’s symbol. Despite being destroyed by fire many times throughout the centuries it has always been rebuilt to as near as the original as possible. Bergen is one of the most rainy towns in Europe! If you are unlucky enough, it can rain for your entire stay in town! It can rain for the whole summer actually. It can rain for months, in Bergen! Still, this makes this town unique and special. It’s funny and pretty common to find vending machines selling umbrellas along the sidewalks. Downtown, everyday, from the earliest hours of the morning, the famous Fisk Torget, the Fish Market, keeps the town alive and full of joy, giving visitors the opportunity to taste all kinds of fresh fish. Go around and about the Fish market, talk to the people selling fish, listen to their stories, sometimes they are travelers from all over the world who have settled there just to sell fish in the center of this amazing town! And then get a panino with fresh prawns or salmon for breakfast…it will make you come back again and again, looking for something else as tasty as that! In front of the Fish market you can catch the Fløibanen, the funicular that goes up to the top of Mount Fløyen, one of the peaks of the area. 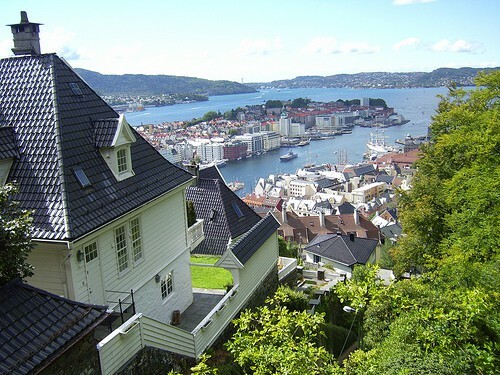 From the top of Floeyn you have a spectacular view of the entire town and Bergen fjord. It’s simply outstanding! If you arrive there on a clear evening, around sunset, in summer that can be around midnight, you can experience one of the most beautiful sceneries of the entire country. Ålesund is one of those cities that people like to call “The Venice of the North”, due more to the atmosphere that they can recall rather than the real resemblance to the original. Ålesund is indeed a sweet beautiful place, half way between Bergen and Trondheim. Downtown, along the fjord, you can see the majestic Hurtigruten, a Postal boat heading back from the North Pole, as it greets the town at its arrival in the harbour. 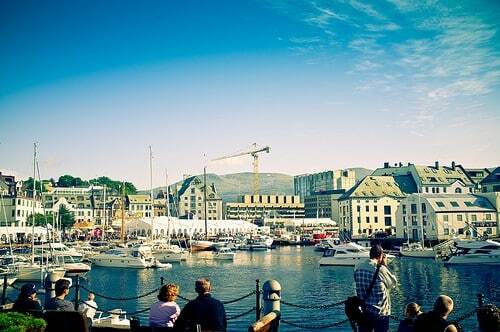 Ålesund’s beauty is due to the misfortunate fire in 1904 which all but destroyed the city. This sad event attracted all the brightest architects to rebuild it and so it happened that many of the best young Nordic architects recreated this wonderful town in Art Neuveau style. From the high peaks of the Sunnmøre Alps surrounding the town, you can enjoy a spectacular view of the entire town and of the fjord. The town at your feet looks almost unreal, with its myriad of turrets, spires and beautiful ornamentation that give it its distinctive character like something from a fairytale. From Ålesund you can catch one of the boats sightseeing the Geiranger fjord, one of the most impressive and beautiful fjords in the whole of Norway. Once in a while a special algae starts to grow colouring the water a spectacular green colour. If you are lucky enough to be there at this time you will be able to see waterfalls falling into these gorgeous green waters. From Oslo you can catch the train to Trondheim, and one more to Bødo before you can even start thinking about getting to the Lofoten Islands. As Norway is a long country, the railways are build in such a way that for the entire trip you will have beautiful scenery be it mountains, valleys or fjords, on one side of the train or the other. It is impossible to sleep on such a route, as every time you close your eyes you feel like you are missing something incredibly beautiful. The railway from Trondheim to Bødo is something that takes your breath away. After hours of traveling the train slows down and the driver announces that around that area, semi desert and full of snow, you could see elk. He stops the train for a while to give passengers the chance to look out of the window. It’s amazing! As soon as you put your head out of the window and into the cold air, you hear the silence of those lands and get the feeling that you have reached the edge of the world, it really gives you a thrill. I’m not even sure if you can see elk up there, I like to think that the driver wants to have a break in the middle of that beautiful “nowhere” and share the beauty of Mother Nature with us. The Lofoten Islands, just off the northern coast of Norway, are one of the most incredible places you can visit in Europe! Their uncontaminated Nature, the little rorbu villages with typical red fishermen houses on the water, dried fish hanging on wood everywhere and the quiet, unreal atmosphere transform this destination in a true enchanted adventure all off the beaten track. 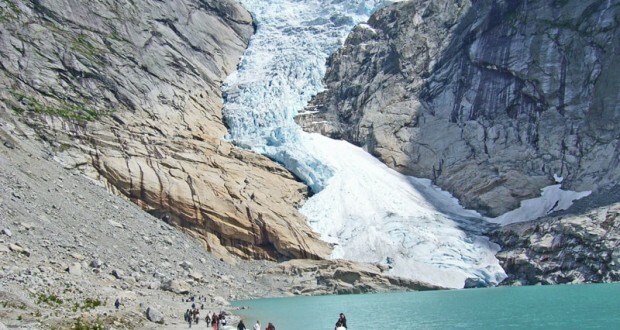 It is very easy and useful to hitchhike here as bus connections are limited and people driving like to help travelers. 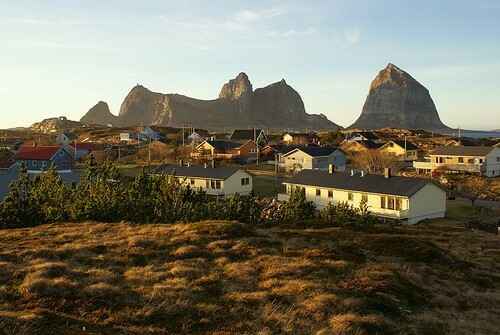 At one of the extremities of the isles there is Å i Lofoten, the village with the shortest name ever. 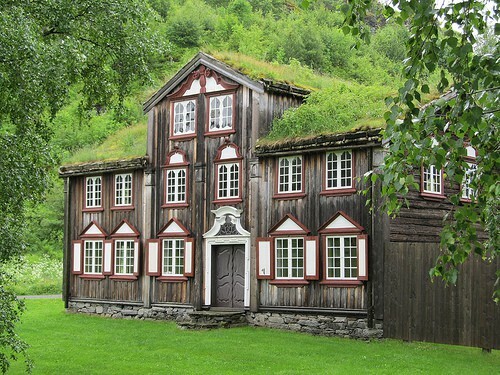 When you arrive at the village, you will see just off the road the Tørrfisk Museum. One amusing fact is that the Museuem has its sign written in both Norwegian and Italian. The owner of the museum, a friendly Nordman who knows everything about fishing and fish, explained that the Italian name is there for 2 reasons: first because he loves Italy and the Italian language and second because Italy is the greatest buyer of Norwegian cod (tørrfisk) fish in the world. 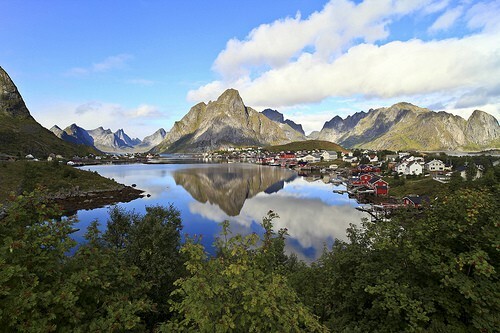 Lofoten is simply outstanding, as much as Reine, the main village of the islands. It hides behind wild mountains, but once revealed Reine steals a piece of your heart. If the weather is nice, climb one of the mountains and go up to one of the peaks to have a sit and enjoy the amazing beauty of the midnight sun on the Ocean! It makes you feel small but also the happiest person in the world! Prekestolen, or Pulpit Rock, is a huge cliff 600 meters high on Lysefjorden, in the south-western fjords. The top of the cliff is a large flat square and from there the view is one of the most impressive natural sceneries in the world. Getting to the Pulpit Rock is not that easy. The walk through the forest, heading up, is long and tiring but well worth it. On the way you meet all kind of people climbing it, like a sort of pilgrimage to one of the most beautiful natural cathedrals of Europe. When you arrive to the top, the view can be outstanding, even when it is foggy. The fog gives a mysterious and silent atmosphere to the surrounding shapes. Visitors get a whole variety of feelings once up there. Some of them feel like flying, and cannot even get close to the edge of the rock as they are scared they will jump off; others can’t even make it to the steps on the main square surface. 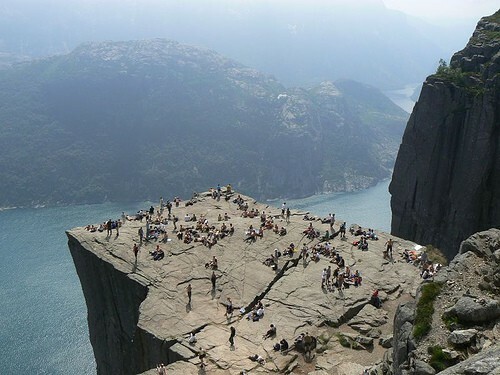 I saw people arriving at the top and get a panic attack just a few meters away from the rock. Others like challenging their fears sitting with their feet over the edge. The feeling is unbelievable you and your fears become one. The instinct to not look down makes you grovel on the floor then, after a while, when you become more confident with the place,you can enjoy the view. When the fogs lifts the Lysefjorden reveals itself to be rather awesome surrounded by high mountains that draw the shape of the fjord for kilometers! And then there is Traena! 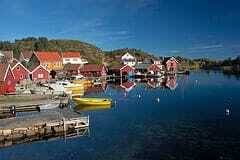 Traena is a small island off the Norwegian north-west coast. There is only a small fishermen village on the island. It’s one of the most unknown places on the planet, but in summer, for a weekend, it becomes the centre of the music world! A music festival is held every year in July. Musicians from all over the world, but mainly Scandinavia, come here to play their music surrounded by the most beautiful scenery. The main concerts are held inside a cave, on the top of the highest peak of the island. You have to go all the way up there if you want to attend the concerts and inside the cave the acoustics are faboulous. In the village there isn’t enough space to accommodate all of the visitors of that weekend so events are held all over town, from the gym to the church and the school to the pub. They all host concerts, meetings and conferences about music, books or photography and the entire island becomes one big campsite. You can place your tent wherever you want with some fantastic views. The fishermen bring you from one isle to another and you are surrounded by the majestic power of the place. Last but not least you are there to enjoy one of the smallest music festivals in the world! It sounds great! It is unique! I will keep you updated about this great adventure as I will be attending this summer!